BEIJING - Private Chinese enterprises exported goods worth $481.3 billion in 2010, a jump of 223 percent compared with 2005, said a report by the All-China Federation of Industry & Commerce (ACFIC). The year-on-year increase on average has been 26 percent over the past five years, the association, which governs the nation's more than 40 million private and individual businesses, was quoted by Xinhua News Agency as saying on Tuesday. "China's private sector has become a major player in foreign-trade market. Since the global financial crisis, those enterprises have taken full advantage of the country's stimulus policies and made much headway in tapping the international market," said the ACFIC in the report. Overseas investment by China's private enterprises is no longer limited to economically underdeveloped regions, such as Africa and Latin America, but has been extended to many other, more mature markets, such as North America, Europe, Japan and South Korea, the ACFIC report said. "In addition, those enterprises tend to acquire overseas energy and mineral resources to meet growing domestic demand and purchase leading international brands to explore overseas markets," it said. Huang Mengfu, chairman of the ACFIC, told China Daily earlier that private businesses, which are mostly small- and medium-sized enterprises (SMEs), have grown rapidly in number in recent years and have started to extend their businesses into previously monopolized areas, such as energy and electronic communications. "The government has said it will make efforts to transform a group of competitive private enterprises into multinational companies," he said. China's private economy has doubled its scale and significantly improved its competitiveness over the past five years, Huang added. The number of private enterprises in China exceeds 8.4 million after a yearly increase of 14.3 percent on average over the past five years, Huang said earlier. 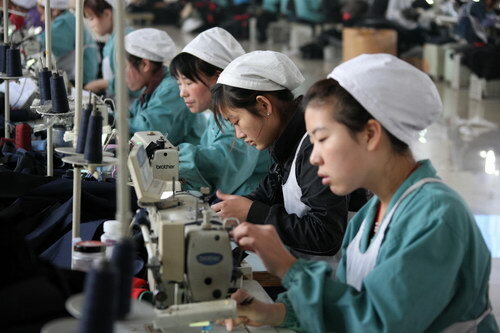 They account for more than 74 percent of China's total enterprises. Their registered capital has surpassed 19 trillion yuan ($2.8 trillion) with an average growth rate of 20.1 percent annually, he said. Apart from private enterprises (traditionally employing eight or more workers), the country has seen a rapid increase in the number of individual business owners, according to the ACFIC report. The number exceeded 34 million by the end of 2010 after the government introduced policies to promote the development of the private economy. For example, the government exempted the private sector from fees of nearly 2.2 billion yuan from 2006 to 2010, according to the State Administration for Industry and Commerce. However, private industry will come under greater pressures in the next five years as inflation increases, labor cost rises, and trade protection measures from foreign countries increase, said Huang. Moreover, "financing difficulty will still be a crucial problem," he said. Zhou Mubing, vice-chairman of the China Banking Regulatory Commission, said the government will continue to enhance financial services for the private sector, especially SMEs, by facilitating their borrowing from the financial institutions. "Without the stable and healthy development of the private sector, China has no possibility of substantially achieving economic restructuring," said Huang. The momentum of private sector activity eased in December, with the rate of expansion slowing to a three-month low, said HSBC in a report released on Jan 5. "With services activity expanding at the same pace as in the previous month, job creation continued to improve in December and inflation in services remained well contained," said Qu Hongbin, chief China economist and co-head of Asian Economic Research at HSBC. "This, combined with strong manufacturing PMI (purchasing manager's index) readings, implies that growth momentum remains healthy."